When it comes to simple pleasures, curling up for an hour or so with my favourite design magazines once a month is right up there for me. No matter how many blogs I look at there is always something uniquely indulgent about making a cup of tea, putting your feet up and settling down to flick through the pristine pages of a newly acquired magazine. For a long time I ignored World of Interiors, (wrongly) assuming that it featured only stuffy old country house interiors, but it's now become one of my favourite reads, largely because it is just that, a satisfyingly intelligent read, as opposed to just an endless stream of eye candy. 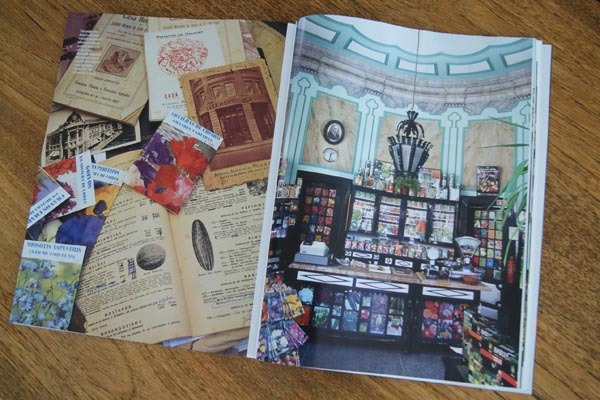 The July edition landed on my doorstep yesterday and these pictures of seed and bulb store Casa Horticola in Porto immediately popped out at me. Don't you just really want to buy your bulbs from that guy?